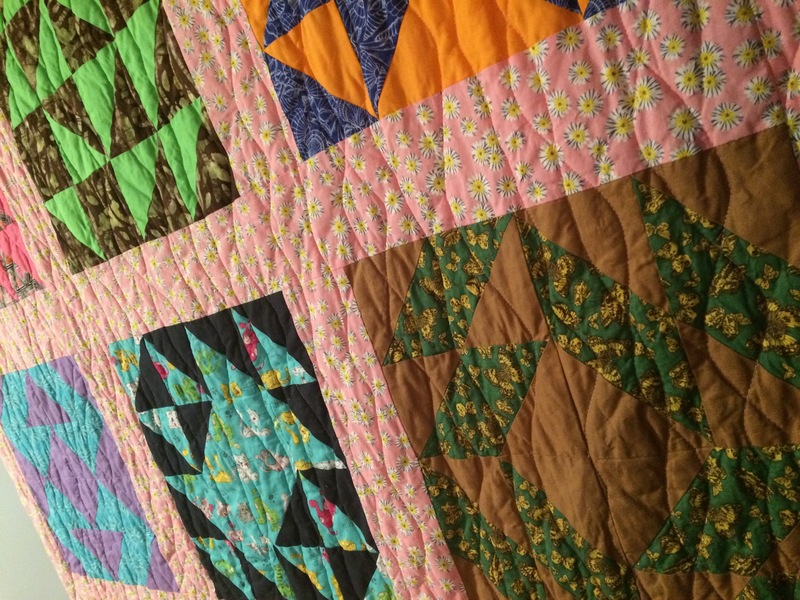 I’ve been neglecting my blog, but I’m back and have 3 quilts to share! I will keep this post short and sweet for you. 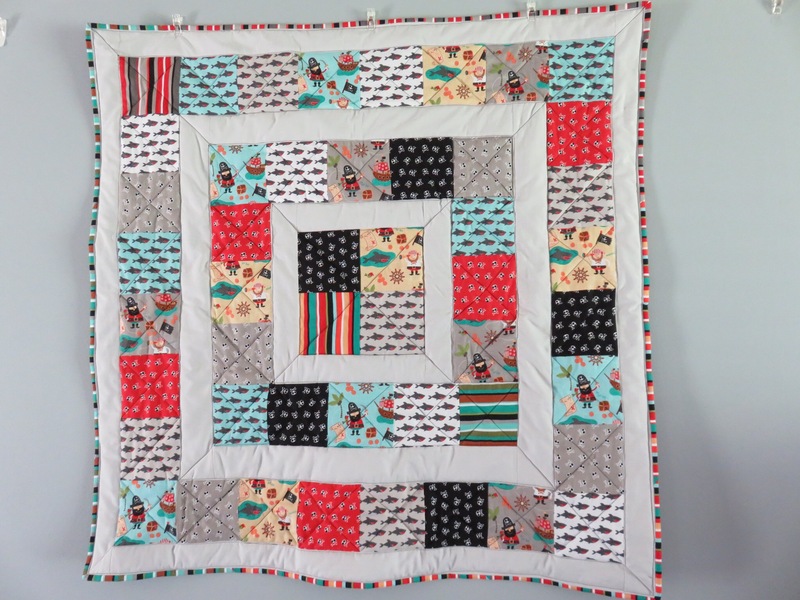 First up is this quilt that I’ve been working on as a monthly sew along. 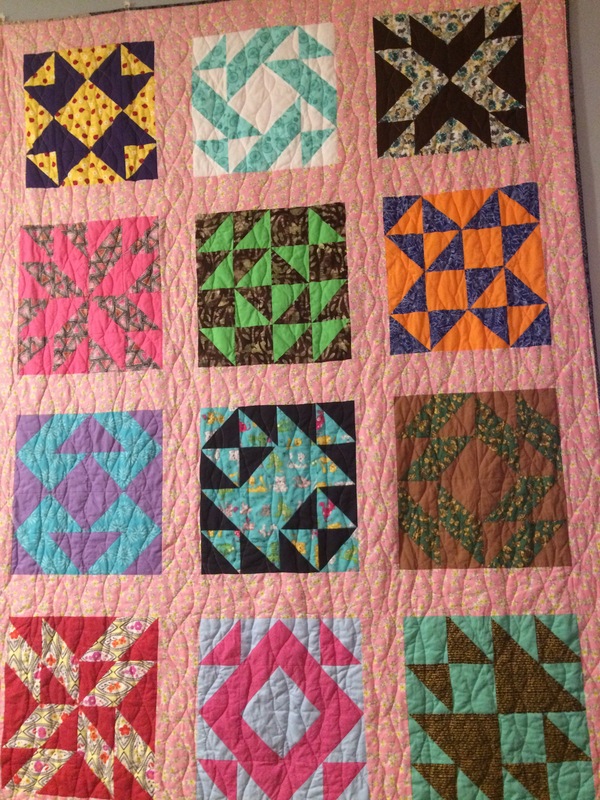 I showed off some of my finished blocks in a previous blogpost, but I finally finished it in July. I skipped out on one of the outer borders, but I think it’s big enough! 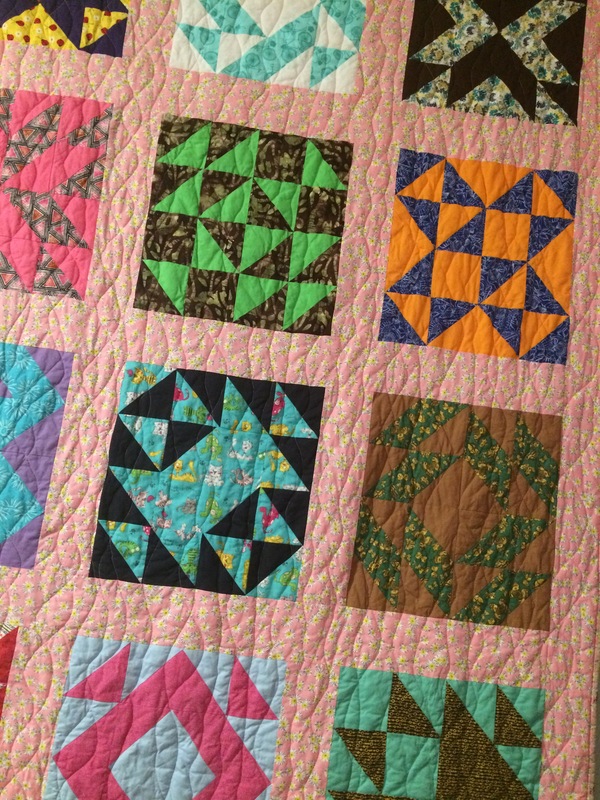 I practiced some curvy quilt lines on this quilt and did a lot because I wanted some good texture on it. I like it and I think I might enter it into the fair this year. This next quilt was a wedding gift and I sadly seem to never take good pictures of wedding quilts?? This is the second one I’ve made and I actually got a picture of this one unlike the first, but whatever. 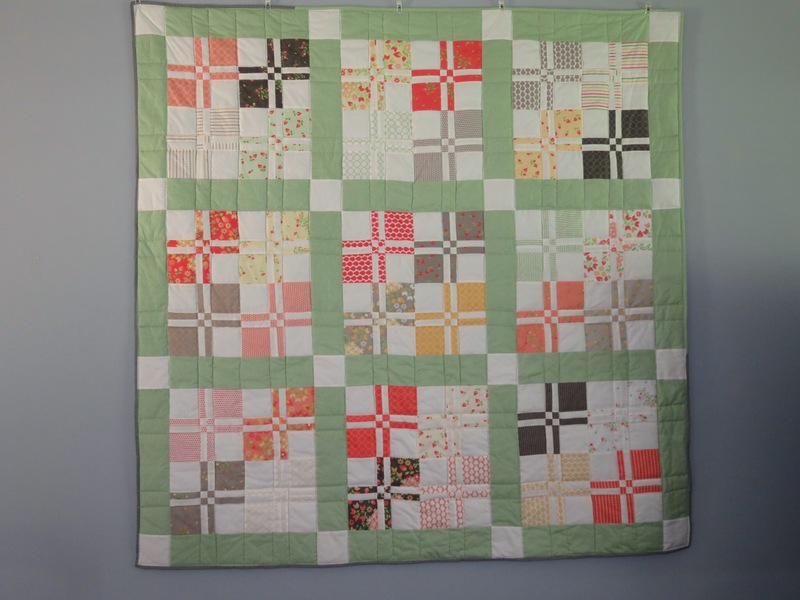 Anyways, I used the Lickety-split pattern from Vanessa Goertzen’s new quilt book, Charm School. 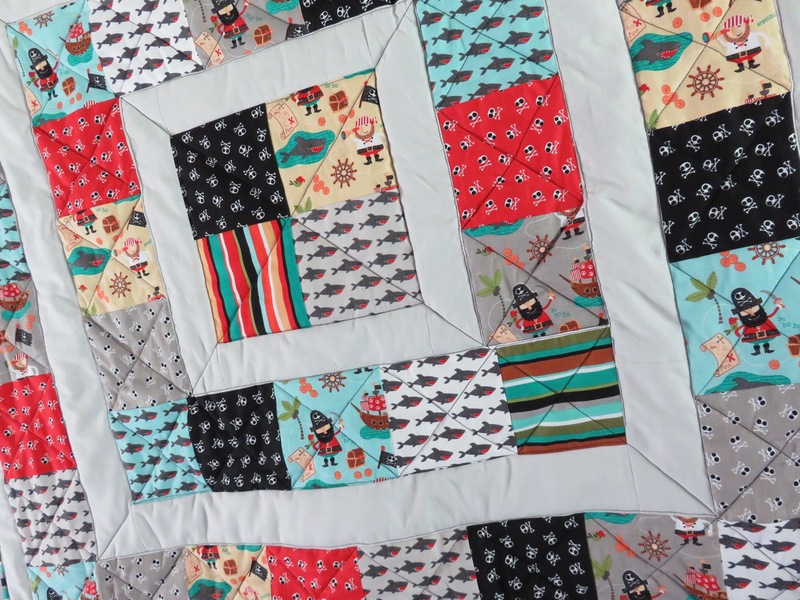 It really was such a quick pattern to whip up, and it’s a good thing too since I procrastinated starting this quilt….. 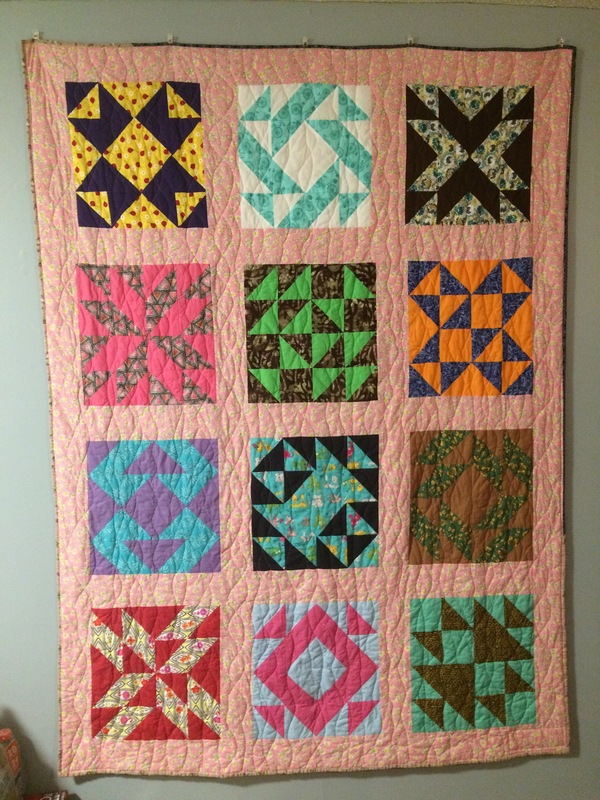 This last quilt was commissioned by my MIL for her sister in law. 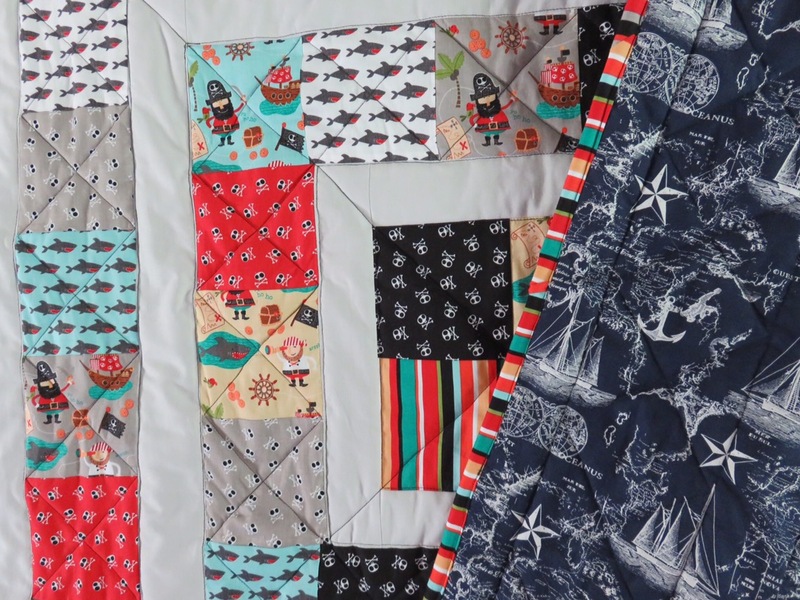 It’s such a cute baby quilt, made out of pirate fabric that I’ve been dying to make something with! I love a striped binding! Je suis en train de rêver de vacances en France. 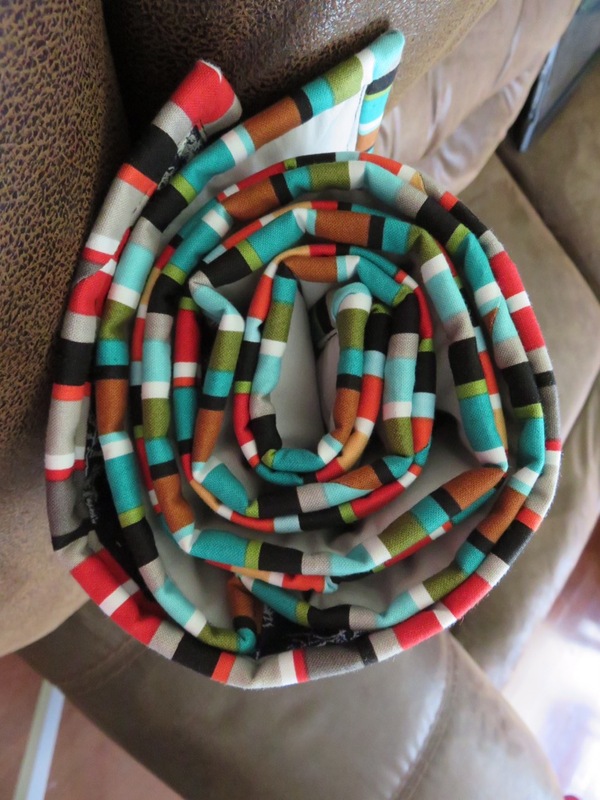 Sewing, Jewelry, Embroidery, DIY and More!